Despite the positive tone in my boss’s voice, I wasn’t sure that was good news. Yes, we’d been able to make some positive changes in the Boston mail and distribution center. But could I effectively manage three operations in three different cities? Soon, I was going to find out. And the lessons I learned would come in handy when a similar opportunity arose at another company five years later. Whether managing one site or five sites, continue to use the basic management techniques that have made you successful. Developing a solid business plan; communicating that plan to all involved; knowing your customers; and motivating employees remain the foundations upon which to build. The only change is the method you use to execute those practices. Although you’ll probably modify it before everyone’s had a chance to read it, you need to develop a business plan for the short- and long-term. This is your opportunity to share your vision for the unit with management and employees. Use the plan to explain where you want the unit to be in six months, a year, even five years. Circumstances will dictate changes (some drastic) to your plan. But as the saying goes, failure to plan is a plan for failure. The plan should represent your unit as a whole and not each site individually. Though the sites may serve different clients and have completely different functions, they must see themselves as part of a larger team. The business plan is the place to start building that sense of team. Everyone needs to know how they can contribute to the big picture. How you communicate that plan is essential to its success. You can’t deliver every message personally, and you can’t be in two cities at the same time. Even with cities in relative proximity, you can’t be on the road all the time and remain effective. You must choose one site as your base of operations, spending most of your time there. However, don’t let that base become an isolation booth. Make sure that you reach out to the remote sites at least once a day. Send a short email update. Make a quick phone call. Or hold a virtual meeting, using Web conferencing. Whatever the method, use these opportunities to disseminate important information and provide support. Don’t turn your communication into a daily “big brother” surveillance tool. Plan onsite visits on a regular basis, at least once a month. Schedule one-on-one time with the site manager. Introduce yourself to new employees and welcome them to the team. Make sure you spend some time on the shop floor with the employees. Shake hands, ask how things are going, and take the pulse of the unit. Remember: there’s no such thing as a typical day. But if things don’t feel right, schedule a return visit soon. Use these visits to meet with your major clients at that site. If possible, form a user group with open forums. Have your site manager sit next to you at these forums, reinforcing the concept of one team. Take notes on compliments and complaints. When you return to your office, prepare written minutes and responses to any questions and concerns. After reviewing this document with your site manager, distribute the information to the whole group. Also, when onsite, schedule “face time” with the highest ranking manager of the business unit or their deputy. Don’t worry if you only get 10 or 15 minutes of their time. This is just another way to emphasize that you care about your internal customers and that you’re aware of what’s going on. Again, follow up on any concerns with an email or phone call as soon as possible. When you’re back at your home office, be sure to respond quickly to any phone calls or emails from remote customers. In fact, you need to respond to these requests faster than those from people at the home office. Because these customers aren’t located close to you, they may feel isolated and less important. Go the extra mile to reassure that distance has no impact on service, and that your onsite manager is more than capable of meeting their needs. Keeping your employees motivated from a distance will probably be your greatest challenge. You need to be proactive in this area to counter the perception of “out of sight - out of mind”. When an employee anywhere in your organization does something commendable, call them immediately and thank them. Don’t substitute an email for a phone call, and don’t just leave a voicemail. Take a minute to have a conversation with this person and reinforce how important their actions were. Keep a list of these events, and make sure you recognize people in front of the entire group during your next onsite visit. And any team successes should be recognized at all locations. If your New York unit set a record on getting the monthly shipments out early, don’t just celebrate in New York. Have celebrations in every location, strengthening the concept of team. The key to success in each of these areas is the site manager. They must be an independent person, and a strong supporter of the team concept. Your site manager needs to keep the lines of communication open; sharing ideas, news and events. Most importantly, they must be confident enough to get any bad news to you as soon as possible, especially if it involves customer service. Similarly, you must trust that manager to make the right decision. With the exception of hiring and firing employees, you must empower the site managers to do what they think is best. Often important decisions will have to be made without consulting you first. Make sure they inform you of these decisions as soon as possible. When people make errors in judgment, be careful with your critique. You want your managers to make a better decision the next time; you don’t want them to freeze and take no action without your prior approval. 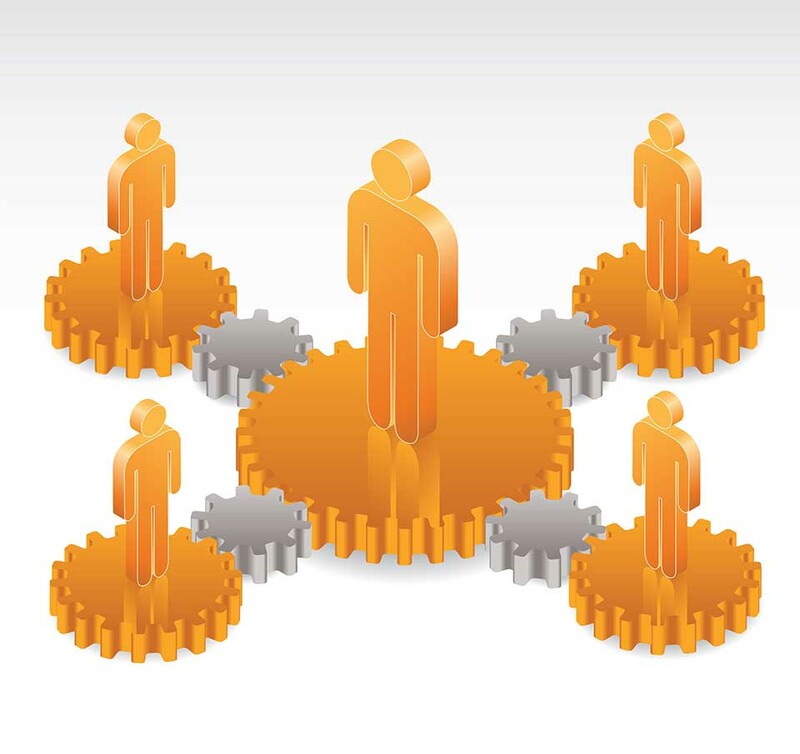 Managing operations in multiple locations is a challenge for any manager. Time and travel will force you to be a better planner, communicator, motivator and delegator. Stretching these basic skills will shorten the distance to success.